From sharings of Vietnamstay's travelers, top 10 reasons to visit Vietnam are listed below. Check them out to see why others spend their vacations in Vietnam and note for your coming trips to Vietnam. If there was any one reason for your visit to Vietnam, this would be it! Ha Long Bay, otherwise known as “The Bay of Descending Dragons”, is made up of nearly 2,000 islands and islets of various shapes. Named a UNESCO world heritage site in 1994, and in 2012 as one of the New Seven Wonders of the Natural World, this is a place where imagination can run wild in between the local fanciful legends and viewing the mysterious landscape. From uninhabited white beaches, fresh sea-food, unparalleled wildlife, deep caves, world class cruises, and unique karst formations, this is a destination that has it all for any type of traveler. Furthermore, Halong Bay is 165 km east of Hanoi and easily accessible by land, water, and air. Did you know Vietnam is home to 8 UNESCO World Heritage Sites scattered throughout the S-shaped country? Vietnam is a country with a colorful history, which can be easily viewed through many of these sites, such as the Complex of Hue Monuments or the Ancient City of Hoi An, both located in Central Vietnam. while Hoi An is an exceptionally well preserved (and quite romantic) example of a trading port in the Southeast Asian peninsula during the 15th to 19th century. 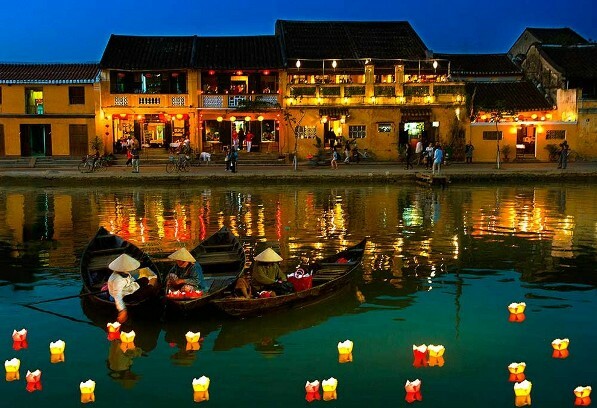 Many travelers remark that Hoi An is their favorite destination in the whole of Vietnam, and cannot be missed! Although Vietnam is a small country, it is an absolute dream for history buffs. This rich culture and history manifest itself in various ways. With a thousand years of culture and Buddhist influence, Vietnam has thousands of temples, pagodas and tombs that you shouldn’t miss, especially the Imperial City of Hue on the Perfume River. The Old Quarter in Hanoi and Hoi An are also well-known for their unique architecture. Traditional festivals are organized year round with many interesting cultural activities, like the Mid- Autumn Festival, Tet or Lunar New Year, etc. There are also many traditional art performances that you can enjoy like water puppet shows or folk singing. If you are interested in learning about the wars fought by this strong country, the Cu Chi Tunnels, War Remnant Museum, Reunification Palace, Ho Chi Minh Mausoleum, and Central Sector of the Imperial Citadel of Thang Long are among the top historic buildings and museums you must see in your Vietnam trip. Vietnam has a population of nearly 93 million, which is climbing every year. 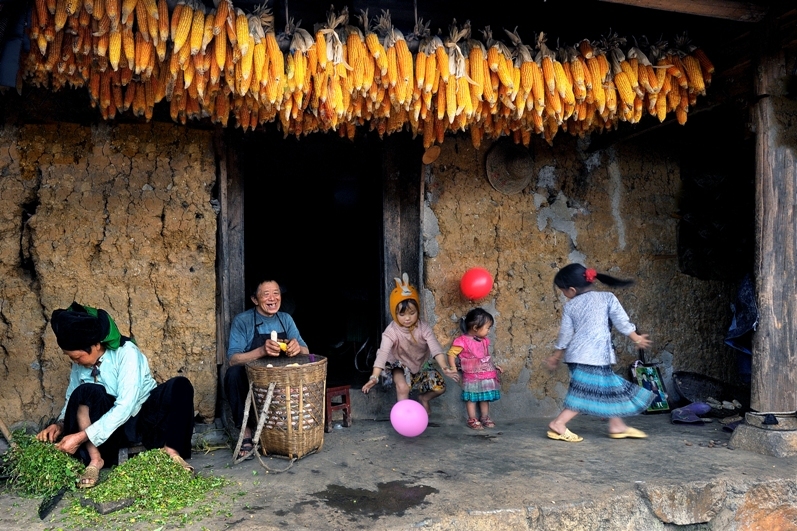 And around 20% of this is attributed to the 54 recognized ethnic minority groups, with the majority of the groups located in the Northern areas of Vietnam, such as the provinces of Ha Giang, Lao Cai, and Cao Bang. Visiting the northern regions of Vietnam is a great way to witness first-hand the way of life in these small communities. It is also a great opportunity to see something different from your everyday life, and, if you plan it right, to participate in traditional festivals, love markets, and kermises! Unlike touristy Thailand, Vietnam is still an “off-the beaten track” destination, with many hidden gems to offer travelers if they know where to look. Part of this allure comes from Vietnam’s breathtaking landscapes. From the far North to the deep South, there are so many opportunities to drop your jaw. Besides the magical Ha Long Bay, majestic Hue, and romantic, charming Hoi An, there are other must-see destinations to consider when planning your adventure. Da Lat is too cute to miss with all of its French styled villas bordering pine forests and strawberry gardens. Or who can forget the largest known cave passage in the world, only discovered in 2009, the Son Doong Cave in Central Vietnam? Vietnam is also the top choice for those in love with white sandy beaches, turquoise waters and sunshine. Several of the world’s top beaches like Da Nang, Nha Trang, Mui Ne, Quy Nhon, and Lang Co are located here, with many other undiscovered beaches safe for swimming just waiting for you to find them! Each region has a specialty, and they are all delicious! What? Coffee is a reason to visit Vietnam? You can never have the answer until you are actually in Vietnam. 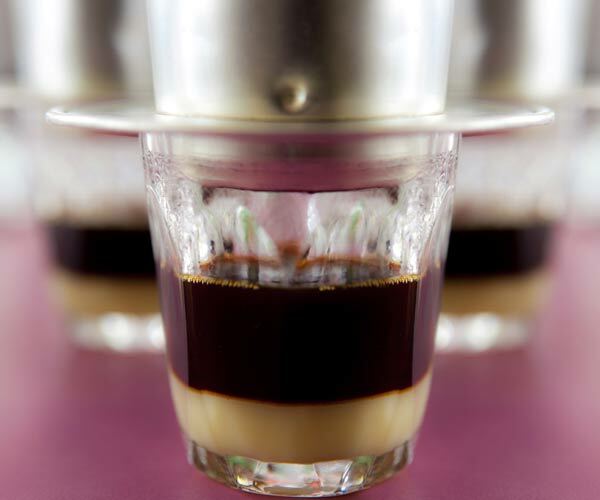 Enjoy a cup of Ca Phe Den (black coffee) or Ca Phe Sua Da (Iced Coffee with Condensed milk) while watching life whiz by you on the streets as you sit in an old French-style café on the street. Make sure to visit the oldest coffee house in Hanoi, located in the Old Quarter, to try a Ca Phe Trung, a mixture of butter, egg whites, condensed milk, and coffee. If you happen to love clothes or fashion, Vietnam is the destination for you! With a thousand year tradition of weaving cotton and dyeing fabrics, you can find high quality fabrics and tailors for a very cheap price. In certain places, tailors in Hoi An can make you the outfit of your dreams in 24 hours or less. Further inspiration can be found in the northern regions of Vietnam, where ethnic minorities use bold and colorful patterns in their every-day weaving and dyeing of fabrics. Vietnam is a great destination all on its own, but can also be combined with other countries for those who wish to experience even more on their trips. Hanoi, Da Nang, and Saigon are all well-connected via flights to the neighboring countries of Laos and Cambodia, and Thailand and Myanmar are both less than a 2 hour flight away. 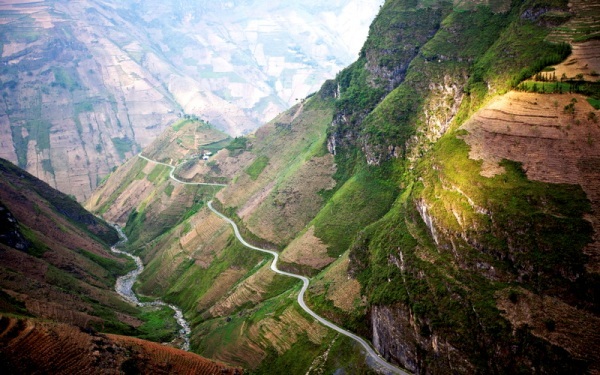 For adventurous travelers with ample time on their hands looking for cheaper transportation, Laos and Cambodia are also readily accessed via road. Although Vietnam is a well-known destination for budget travelers, the country also offers everything posh travelers would expect of accommodation, service, activities, and exclusivity. In comparison with more developed locations where a 3 star hotel might cost you $100/night, in Vietnam, you can easily find a 5 star hotel for the same amount. 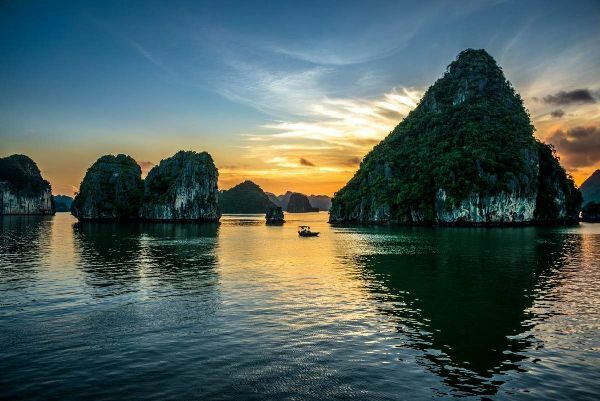 Furthermore, there is really something for everyone here, as Vietnam offers a huge range of travel options, from the best in adventure, cultural, and romantic/honey moon travel, to hobby-related activities such as bird watching or scuba diving. The trip of your life is waiting for you here in the Land of the Ascending Dragon, so what are you waiting for?